For those of us who are elected officials, few votes will be more consequential than whether to approve or disapprove the nuclear agreement President Obama has reached with Iran. Yet the president expects Congress to cast this vote without the administration’s fully disclosing the contents of the deal to the American people. This is unacceptable and plainly violates the Iran Nuclear Agreement Review Act—a law the president signed only weeks ago. During a recent trip to Vienna to meet with the International Atomic Energy Agency, the organization charged with verifying Iran’s compliance, we learned that certain elements of this deal are—and will remain—secret. Key restrictions on Iran's nuclear program imposed under an internationally negotiated deal will start to ease years before the 15-year accord expires, advancing Tehran's ability to build a bomb even before the end of the pact, according to a document obtained Monday by The Associated Press. The confidential document is the only text linked to last year's deal between Iran and six foreign powers that hasn't been made public, although U.S. officials say members of Congress who expressed interest were briefed on its substance. 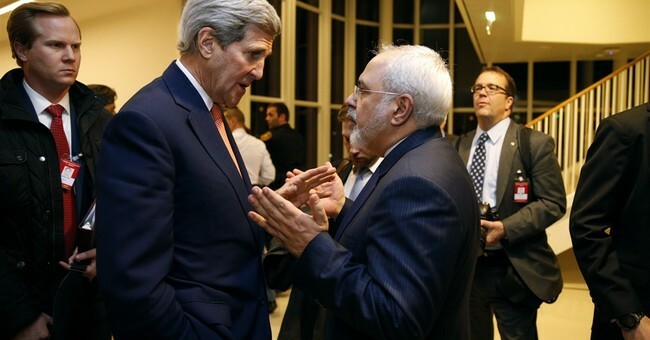 It was given to the AP by a diplomat whose work has focused on Iran's nuclear program for more than a decade, and its authenticity was confirmed by another diplomat who possesses the same document. Both demanded anonymity because they were not authorized to share or discuss the document. The diplomat who shared the text with the AP described it as an add-on agreement to the nuclear deal in the form of a document submitted by Iran to the International Atomic Energy Agency outlining its plans to expand its uranium enrichment program after the first 10 years of the nuclear deal. But while formally separate from the bigger nuclear accord, he said that it was in effect an integral part of that pact and had been approved by the U.S., Russia, China, Britain, France and Germany, the six powers that negotiated the deal with Tehran. Details published earlier outline most restraints on Iran's nuclear program meant to reduce the threat that Tehran will turn nuclear activities it says are peaceful to making weapons. But although some of the constraints extend for 15 years, documents in the public domain are short on details of what happens with Iran's most proliferation-prone nuclear activity — its uranium enrichment — beyond the first 10 years of the agreement. The document obtained by the AP fills in the gap. It says that as of January 2027 — 11 years after the deal was implemented — Iran will start replacing its mainstay centrifuges with thousands of advanced machines.